- October 1986 by Hutchinson Children's Books Ltd.
- Redwall has been adapted into a graphic novel titled Redwall: The Graphic Novel, as well as a TV series. 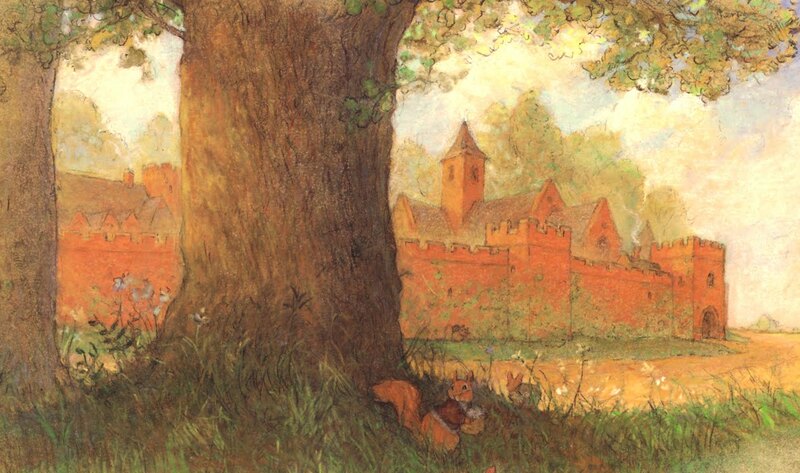 - Redwall was the basis for a children's opera (actually a musical theatre piece) called The Legend of Redwall Abbey, produced by Opera Delaware in 1998 and 1999. - Brian Jacques got his inspiration on writing this book by taking his dog Teddy for walks amidst the red walls of Stanley park in his neighborhood. If you are in for an adventure spurred by riddles and head-crunching clues, then Redwall should be on your list of books to read. 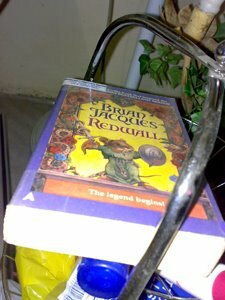 Being the first of a very swashbuckling series, Redwall gives you fresh concepts and fresh stories. Instead of human characters we are introduced to the ever-enjoyable world of fable as animals take up the roles to represent mankind's conduct. The book is an exciting read and very well told and narrated indeed. There are some challenging vocabulary, but they were equaled by the rich, descriptive passages such as the mouth-watering Great Hall feasts and the hilariously-funny-sad-and-action-packed battles. When Redwall Abbey, so named because of its red walls, is attacked by a rat known as Cluny the Scourge, who is an evil, infamous rat with a poisoned barb on the end of its extra-long tail and commander of a horde of vermin, the Redwallers rise up in defense. But only when a Redwaller wields the great sword of the long gone Martin the Warrior, will Redwall be able to defeat the menace. So Matthias begins a quest to find the legendary sword, that according to a clue is supposedly hidden somewhere within the Abbey, stored away for a time of need. He was assisted by his friends and along the way they find more clues as to the whereabouts of the sword up until they embark on a more riddling quest that led them to secret passages, unknown dangers and the like. Like all fairy tales, the heroes lived to tell the tale and once again the Redwall Abbey became a peaceful Kingdom. Simple as that but an entertaining read, for sure. Although, it saddened me to know that the author of the series, Brian Jacques, died February of 2011. So far he has written twenty-two books on the series, the last of which a posthumous work released a few months after his death. Out of this twenty-two, I have the first thirteen, which I am planning to expand after seeing some rare copies on a nearby bookstore. I really enjoyed the series a lot that I can't allow my self not to read all of them.